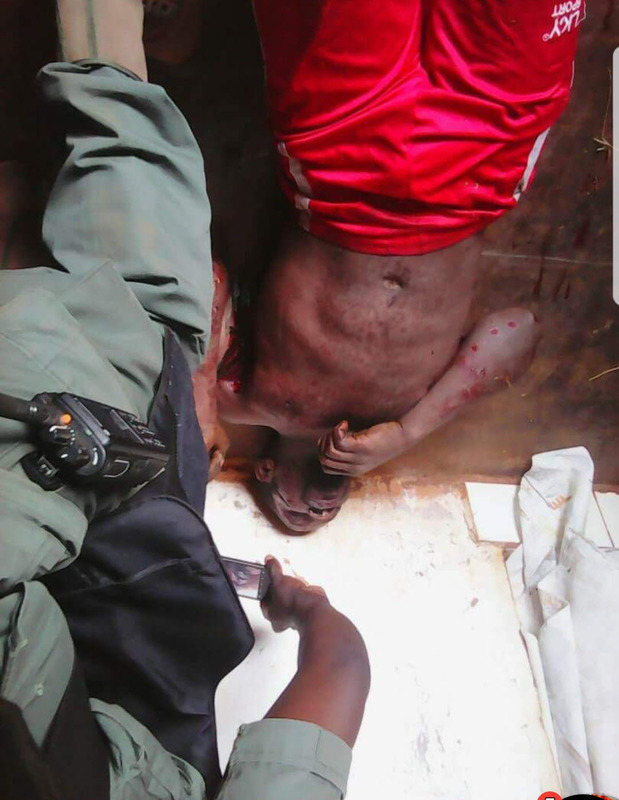 (Bamenda) – There has been a massive retaliatory response from the Ambazonian Defense Forces (ADF) on the occupational forces of La Republique du Cameroun, as ADF special forces captured the colonial Divisional Officer of Batibo, after a gun battle that led to the death of three of his gendarme bodyguards. 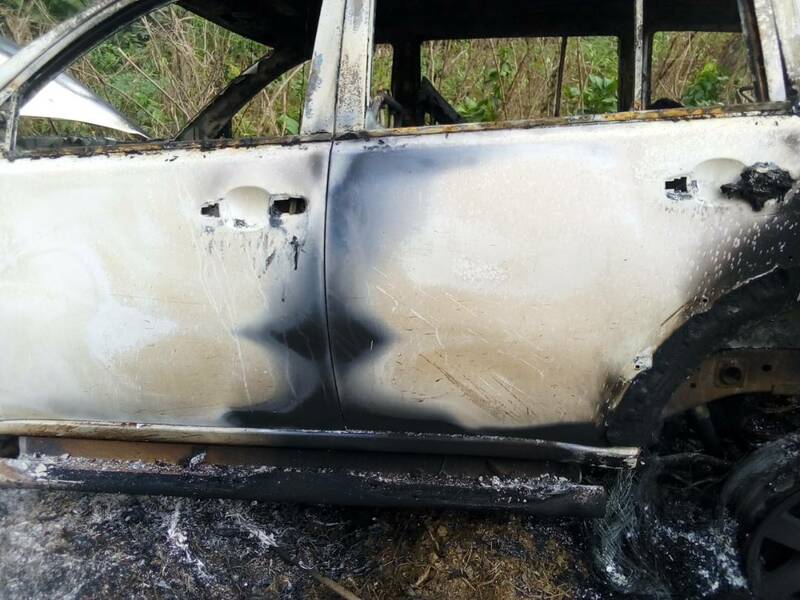 His car was burnt to ashes. This DO has been one of the most notorious LRC agent who has been causing havoc to the Ambazonian population in Batibo. This action is coming as the ADF forces consolidated their positions yesterday in the city of Bamenda where a massive operation was carried out to dismantle checkpoints and chase gendarmes and birs who were responsible for the gruesome slaughter of Sam Soya. Abakwa Times reporter first got the news of the arrest of the Batibo DO and three of the occupational gendarmes in the wee hours of the morning. The whereabout of the colonial foremaster of Batibo was not immediately revealed to Abakwa Time, but a highly placed source in the ADF has told Abakwa Times that ‘this is a strong message to all agents of LRC, SDOs, DOs, gendarmes, birs that they should all park their bags and leave Ambazonian territory immediately or they are going to be die’. The ADF Special Forces team was able a couple of days ago to requisition firearms from the colonial forces after a serious gun battle and this reporter has been made privy to the weapons haul. It was somewhat jarring to see some of the guns with red threads tied at the head. There is a believe amongst the colonial forces that with the red thread, they will be able to kill ADF soldiers due to their belief that ADF soldiers have local gun proof, what they refer to as “Odeshi.” It seems as if the anti-Odeshi did not work this time. A source close to the AGC has confirmed the raid in Batibo and said the AGC was asking the government of lrc to show any signs of life of Julius Ayuk and other Ambazonian citizens kidnapped as refugees in Nigeria before giving any further information about the arrested DO. In other news, the ADF instituted a checkpoint in Bamenda, stoping all the vehicles attempting to enter the town in the night with fears that citizens from LRC were being imported to march at the 11 of February event in Bamenda. The shocking and distressing thing for the ADF forces was that the occupation forces refused to come out and confront them. (Bamenda) – Tension is high today in Bamenda, the largest city in Ambazonia, after members of the ADF Special Forces carried out an operation in City Chemist Roundabout that resulted in the death of an occupation force and his weapon requisitioned by the ADF team. As of this report, members of the Special Forces team were back safe and sound in their base and already planning for their next operations. Bamenda is also right now in the grip of these sadistic thugs wearing the uniform and authority of the state of Cameroun. I know that as a reporter, I have to keep a level of objectivity, but to witness the burning of an old woman on her bed, to see the beheading of at worst a suspect, to now see mothers and fathers in Commercial Avenue in Bamenda, going about their business now rounded up and asked to do pushups while being whipped on their backs, buttocks and thighs, to see homes and businesses being broken into and looted and smashed, throws objectivity out the window. These are brutal, sadistic, inhuman acts that should touch the humanity of all of us. Extortions seems to be the order of the day, as we are receiving reports of business owners being rounded up and they are paying extortion money to be released, if even that. Shops without their owners present are looted and the names and addresses of the store owners acquired and these brutes go to their homes to harass, extort and ransacked their homes. They are being accused of sponsoring the demonstrations and search for rights of the people of ambazonia. We got in touch with one Ma Lamfuye, who lamented the pick up and torture of her husband and the looting of their livelihood. Ma Fabian, Pa Tomfain, Pa Azafor…, even an absent store owner, name given as Dzeaye, had the store and home ransacked and looted. It is a mindboggling show of a military state’s intent on punishing as a whole, a population, for the “crimes” of a few, and woe betides anyone caught with a contrary political view than that of the CPDM, or anything that expresses sympathy for the search of rights for the people of Ambazonia. (Bamenda) – If there was any doubt, it has now been established; the Ambazonia Defense Forces, is the Ambazonian army. In the last two weeks, from county to county, from Belo, to Bui, Mezam, Momo, Manyu, Meme… it has carried out a surgical well planned and well thought out operations that is not just mind buggling with its scale and ambition, but the terror with which it is now viewed not just in Yaoundé, but in Abuja. A new paradigm is settling in in Abuja that maybe, just maybe, they should be preparing to deal with an independent Ambazonia at their borders, sooner rather than later. In actions in broad daylight in Mile 6 Nkwen, an ADF Special Forces team of two, engaged in a ten minutes hand to hand combat in front of a supermarket, going up against two members of the occupation forces. One of the occupation forces lost his life and his M21 rifle, not through a gun shot wound, but through knife wounds for as this reporter was briefed, the ADF Special Forces had a malfunction with their arms and had to go in for hand to hand combat. One of the murderous occupiers was able to get into the supermarket and got away. 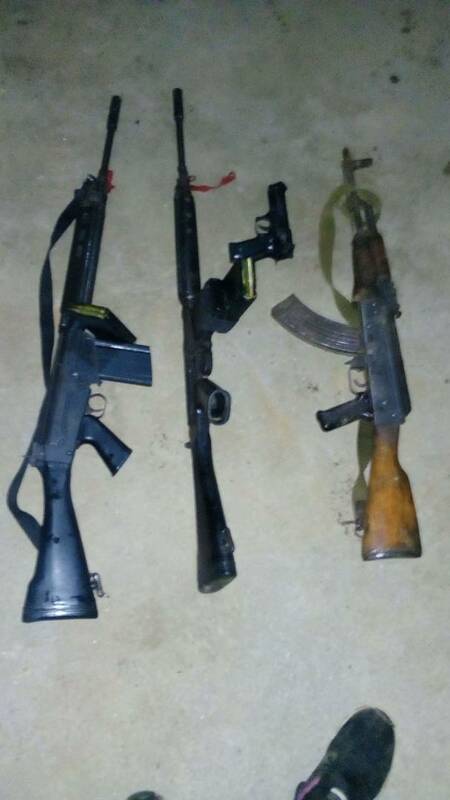 It was the same scenario in Belo, but this time, Wednesday night, ADF Special Forces engaged in a gun battle that neutralized the arsonists from LRC who burn old women in their beds and massacre young men in our streets, they were able to retrieve the two rifles of these arsonists. We will bring you information as they develop. Events seems to be erupting by the minute. 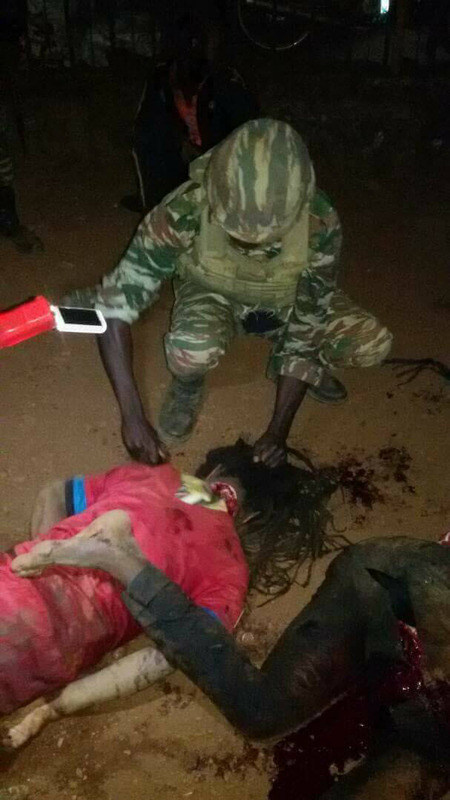 UPDATE; La Republique Du Cameroun sustained its worst day in the fight for the soul of Ambazonia as from north to south, it sustained heavy casualties. In Ekok, in Manyu county of Ambazonia, the ADF ground forces invaded the town, taking it over for several hours and systematically leveling the institutions of colonialism that had been prosecuting LRC war of terrorism and genocide in Ambazonia. The customs post, the police station and the gendarmerie stations were all blown to bits and when reinforcement from LRC elite BIR forces were sent to relieve the Gendarmerie barracks, two of their trucks were blown and as was the case at the customs, gendarmerie, and police stations, the survivors took to their heels. (Bamenda) – The ADF has brought out its ground forces, a few weeks after they engaged in one of the biggest fights in this liberation struggle in Dadi and Mamfe. Tonight, this reporter is getting reports from sources that the 1st(Nchang Shoe) and 2nd(Coffin Revolution) Battalions of the ADF have left camp for a major offensive. The Ambazonian ground forces swept into Ekok blowing up the Customs building as well as a trucks full of forces of La Republique Du Cameroun, according to a harried briefing from the Chief of Commands of the 2nd Battalion, Commander Akuma Fru. 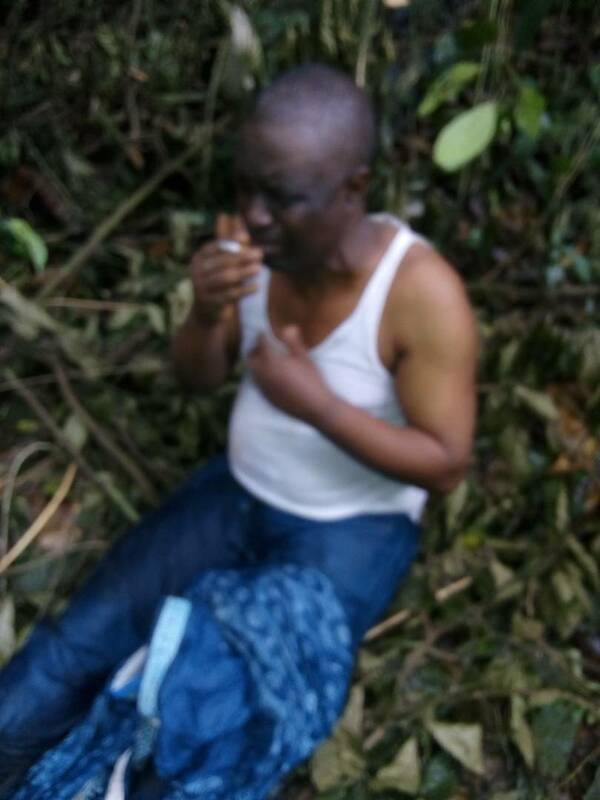 (Buea) – Corrections have been made to this story filed yesterday by our reporter embedded with the ADF Special Forces. We will always try to bring you the truth and we are sorry that some parts of this story rested on expected outcomes rather than actual outcomes. Based on the fact that our reporters have almost lost their lives being caught by the occupiers near sites where operations had just taken place, seeing how the ADF Special Forces teams were pouring fire into the gas tanks at Tradex and knowing same were being done elsewhere, our reporter left the scene and took off before any firefights could occur and not to be caught in the after action reprisals from the occupiers. In doing so, he assumed there was no way to amount of gunfire into the petrol tanks will fail to ignite it. We are sorry for this error. 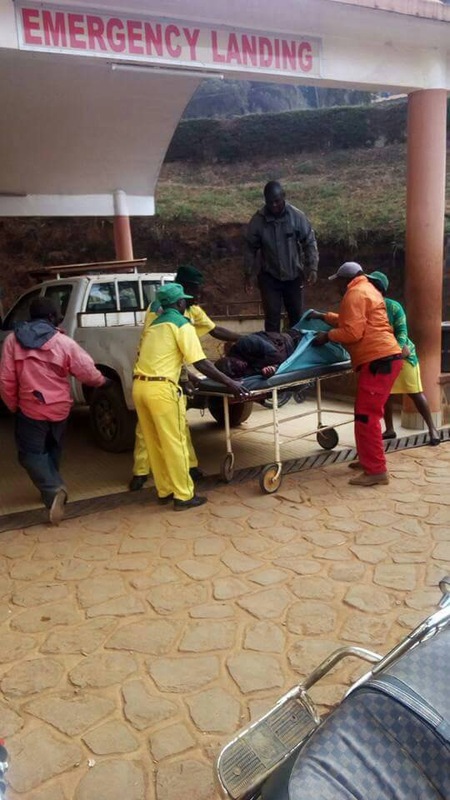 (Bamenda) – Bamenda is in flames panic as the ADF Special Forces team continue its operations. At the start, a lot of us thought that this was a hit and run affair, but this news organization can now confidently say that the war has reached Bamenda. Bamenda is now a war zone. After more than ten deaths of LRC soldiers and today, the economic blow suffered with the attacks at the Total Petrol Station in Ntarinkon and Nkwen and also TRADEX PETROL (headed by Adolf Modiki and answerable only to the presidency) and the ongoing pitch battles as we keep hearing gun shots all over town, Bamenda is a war zone. This has not turn out to be the passing fancy many of us thought, and one thing that our informants are telling us that makes it hard to believe, is that the occupation forces are so scared that most have ran away from downtown Bamenda. Their fear, it seems is exacerbated by the fact that their superiors are disarming them because of the fear that the ADF will requisition their weapons if they are killed. How such a thinking wins you a war or make your soldiers stand up and fight, beats this reporter, but that their superiors already feel that they will lose in a straight-up battle with the ADF is a thought that I do not know if their political handlers in Yaoundé will appreciate. We will bring you updates as they occur. Third day of the battle in Bamenda! *“OPERATION MAMI APPIH,”* to mourn, honor and send some of the occupiers to lay down the carpet for her journey to heaven. The SG went further to tell us that the Defense Council Chairman, Benedict Kuah, earlier this morning informed the men and women of the 1st fighting battalion (the Nchange Shoe battalion), the 2nd fighting battalion (the Coffin Revolution battalion) and all the Special Forces Units of the ADF that today was a day to mourn mami Appih. That our people should pause and say a short prayer for her today, and all those who have died for Ambazonia. This entry was posted in News and Events, Trending. Bookmark the permalink.